Life insurance can act as an extremely powerful and flexible financial tool to make a significant impact on the quality of life for for future generations. The realization hits at a different moment for every parent. For some, it arrives when the pregnancy test comes back positive; for others when they glimpse their newborn’s face for the first time or even when their child celebrates their first birthday. The timing is irrelevant – the only important fact is that every parent will look to build the strongest possible foundation and support system for their children, and will use all their available resources to do so. One essential tool that is sometimes overlooked is life insurance, an extremely powerful and flexible financial instrument that can make a significant impact on the quality of life for any couple’s children. The thought that drives action is often the scariest: what happens if either the primary breadwinner or the primary caregiver prematurely passes? Even in less defined parental roles, the loss of a guardian puts a child at a disadvantage, but life insurance can at least soften the financial blow that a family suffers with the death of a parent. 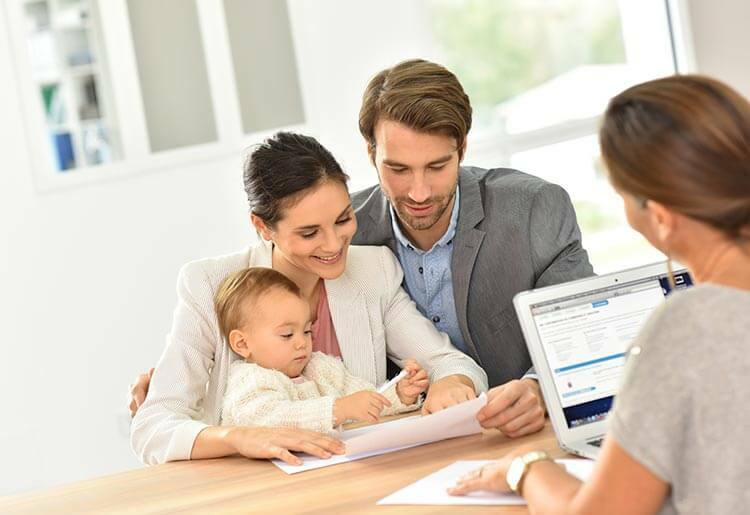 The modern insurance industry presents new parents with a plethora of ways to ensure the longevity of their financial status, each representing a small monthly expense in exchange for a lifetime of relief from worry. Choosing the best life insurance provider for your needs is crucial to making sure you get the most out of your policy. Having life insurance is not a given for all new parents, or even for most adults, so it’s important to understand how life insurance works and what types of policies there are available. Young men and women, at the age where being a parent is in the realm of possibility, may not have health issues or dependents that would necessitate a policy. Being a parent, or expecting to be one, quickly turns this notion upside down. Getting a life insurance policy is the best way to ensure that a young family stays on the right track, because it will provide a financial safety net for families who suddenly lose a key member. For new parents who do not have life insurance, explore the following options for a satisfying solution. Term Life Insurance: Younger parents who are in good health usually prefer term life insurance for its steady, low monthly fees and benefits. Simply put, a mother or father pays a flat rate each month for coverage that lasts a set period such as 5, 10, or 20 years – some plans even extend up to 30 years of coverage. In exchange for the flat monthly premium, the father of a newborn can make sure that should he pass away unexpectedly within the term, the beneficiary can use a large lump-sum death benefit paid by his insurer to care for their child, pay for school or cover a financial obligation such as a mortgage. Perfect for those who are not thinking about getting old quite yet, term life covers the immediate insurance needs of a new family wonderfully. Permanent Life: Unlike a simple term plan, a permanent life policy covers the insured person for their entire life. It is also more flexible, and therefore more expensive than term life insurance. Permanent life plans do not expire and combine a death benefit with a savings portion that can be contributed to in the form of extra premiums. Over time, the policy accrues cash value that can be used in many ways that benefit new parents. Loans can be taken out against the policy’s value, cash can be withdrawn if necessary and should medical care become a requirement in one’s old age, the cash value can pay for it. This increased functionality is great for those thinking long-term, but it comes at a steeper price. Combination Options: Combining term and permanent life insurance, usually by purchasing stacking policies for the family’s breadwinner, allows a family to put emphasis on where they think they are most vulnerable. The protection aspect of life insurance and the investment aspect can be balanced as preferred. Regardless of the route a young family chooses, the only thing that matters is that their child is protected. There is a big difference between a child left without a parent or the financial cradle they provide, and one without a parent and a large sum of money. If the unthinkable happens, not having life insurance could end up being one of the most expensive decisions that a family makes. The peace of mind that a suitable policy brings is priceless, making the affordable premiums that many insurers charge that much more reasonable. Parents who already have life insurance and are expecting, or have a new baby are already a step ahead. However, it is extremely important for them to review the current life insurance policy and consider adjusting it to match the needs of a growing family. Specific policy details that were chosen once are not necessarily written in stone, and many insurers allow the policyholder to pivot mid-term as their circumstances require. Transforming a Term Life Policy: While some term life policies are the “set-it-and-forget-it” variety, others are known as “convertible.” This means that within a certain amount of time during the term, the policyholder can convert their policy into a whole life version of similar value. For parents who are reaching the end of their term life policy, this may be a smart step in ensuring that their family is still provided for should they pass away outside their original window. Policyholders should look to see if their term plan has a convertible rider, which would enable this conversion to take place without a medical exam. They should also consider their child’s age and their own at the time of the term policy’s expiration, and do a complete financial analysis to determine whether their absence would take a significant toll. Increasing the Death Benefit: With a new child and a growing family come bigger expenses: a house, education, clothes, food and more. An excellent way to ensure that these expenses are all covered is simply by increasing the amount of cash one receives should they die. Unlike level death benefits, some policies allow the policyholder to increase their premiums for a larger lump-sum payment that is receivable upon death. This is a wise move for younger parents, whose increased premiums for such a service are far less than what older policyholders must pay. Increasing Premiums: Some policy add-ons, like the Return of Premiums rider allow policyholders to contribute premiums in excess of what their plan requires. These extra payments are paid to the beneficiary plus interest when the policyholder passes. New parents often choose to exercise this option to directly boost the cash value of a policy, giving it more gravity when taking a loan out against it or other anticipatory measures. Protect Against Disability: While Insurance is designed to protect against a missing income, this is a slightly narrow way of looking at it. What about when a family’s main provider is still healthy but unable to work? Disability is a solution that sits in the grey area of insurance, with the purpose of reimbursing those who have incurred an injury or other malady that prevents them from doing the full scope of their work duties. Available as a standalone policy or sometimes as a rider, these plans are usually inexpensive and can bring great value to a younger family who do not have the financial cushion to go an extended time without income. Supporting a family is a constant effort, and many times premade life insurance solutions are not enough for new parents. Families should never leave any loose ends when it comes to their children’s future; parents should always have a battle plan for every major milestone while carefully evaluating their growing needs. When a family becomes more dependent on its breadwinners, namely through adding new members, it is possible to benefit these additions to the family without changing the life insurance policies of the parents. 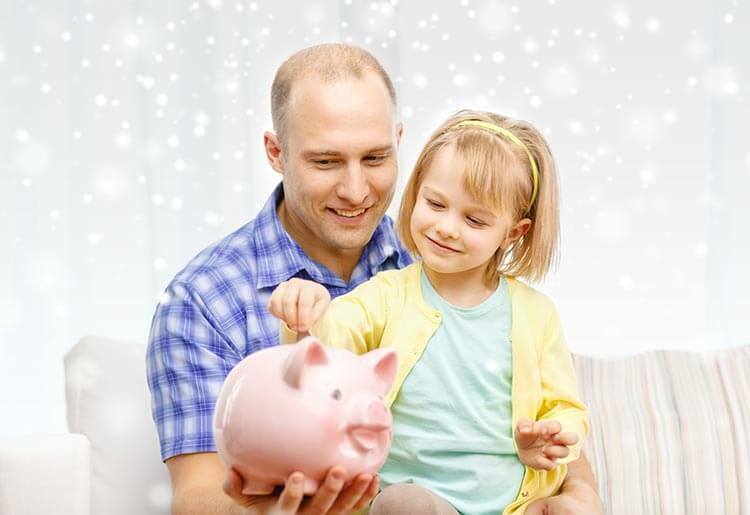 This can be done in several ways, and lends a financial advantage to the child and the parents as well. Child-Size Policies: Buying a small whole life insurance policy for a child is an alternative way to save money for their future, and to protect their insurability. The latter means that when the child grows up, companies will see a current policy and be less hesitant to extend good terms because of the applicant’s good standing. Additionally, these policies come with a savings aspect – allowing the accrual of premiums as cash value. Later in life, the child has access to what was once a small face value sum, perhaps $20,000 to $50,000 in cash, but expanded throughout years of investment. They can use this to access financing, withdraw cash in times of need, pay for medical care or even support their own family when the time comes. Adding Riders: Most policies allow a rider to be added—an extra feature for an extra cost—that provides small amounts of excess coverage for other family members. Child riders typically extend to all the children in a single family, and work by adding units to the parent’s plan. An insurance company might quote a unit of $1,000 at $3, so the parent who wants to cover their child for $10,000 simply adds $30 per year onto their premiums. This could be used to pay for a funeral if the child tragically passes, or other costs that may otherwise put a family in financial straits. By opting for both a child-size whole life policy and a child rider with their policy, parents can cover their own potential needs and their children. While some argue that there are better ways to save besides children’s whole life insurance, there are few methods as straightforward. Life insurance used to be a simple matter, and on paper, it still can be. Providers go out of their way to outline the exact terms and benefits of each policy, but even they cannot predict what any single family will need. Due diligence is required, and expecting or new parents should review the best the life insurance providers on the market to ensure their family’s financial security. Not properly preparing for the inevitable can come at a high price, even after years of responsibility. The good news is that taking the proper steps early on has never been easier, and new parents can ensure that their child has a strong financial foundation to lean on as they grow, whether they are present or not.